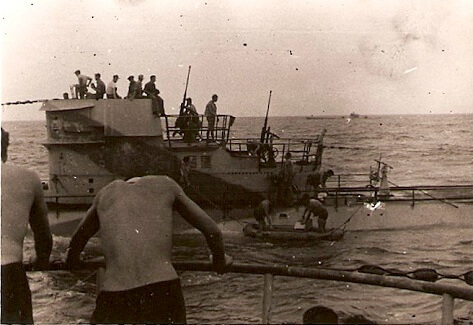 SS Samouri (1943-1944) The SS Samouri was a British cargo ship of 7, 219 tons, which, whilst on route from Bombay to Aden and New York, was torpedoed by U-188 and sunk in the Arabian Sea on January 26, 1944. 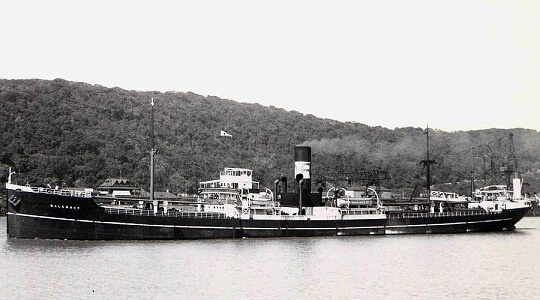 SS Eurylochus (1912-1940) The SS Eurylochus was a British cargo ship of 5,723 tons, which was torpedoed by German auxiliary cruiser Kormoran and sank west of Sierra Leone, on January 22, 1940. 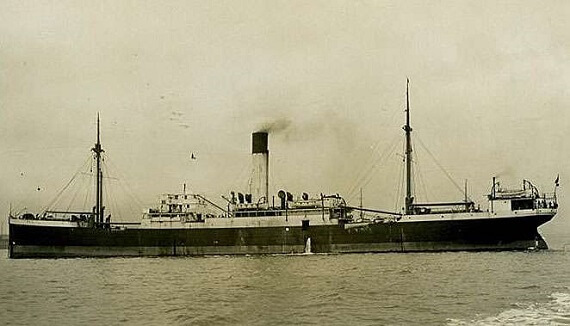 SS Dalemoor (1922-1945) The SS Dalemoor was a British cargo ship of 5,796 tons, which, whilst on route from Antwerp to the Thames, struck a mine on its ballast and sunk in the North Sea on January 15, 1945.